In February 2015, my boyfriend Rich and I drove across Southern Iceland, West to East, Reykjavik to Hof. Neither of us had visited the land of fire and ice before and were probably a little naive about just how fierce an Icelandic winter could be. 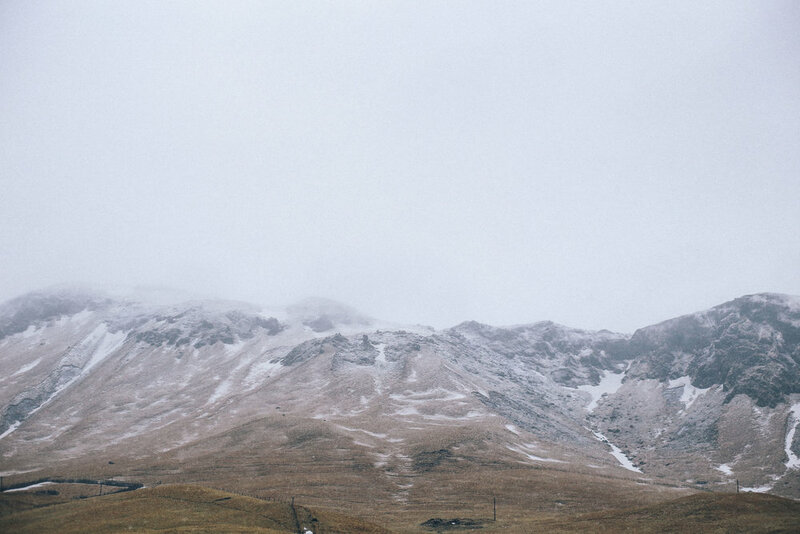 Below are a few photographs and notes from what is now our favourite place on Earth. 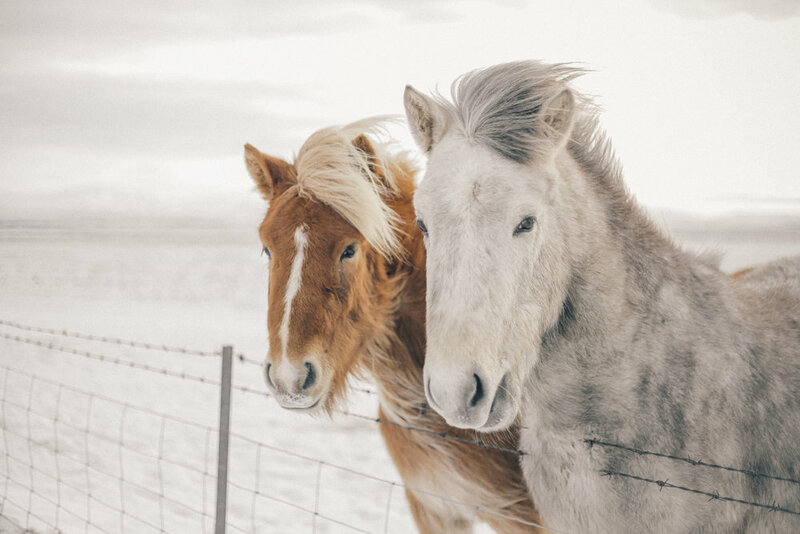 Icelandic ponies are the gatekeepers of their island. They keep watch over the horizons and offer relief to weary travellers. It is impossible not to fall in love with these little beauties and make a few friends at every roadside rest stop. They’re such hardy little beasts who take the Icelandic winter in their stride. They’re not camera shy either! As you approach a waterfall, no matter where in the world, an anticipation, an excitement washes over your entire being. Perhaps it is a primeval hope awakening in you? The thrill of what you can hear but perhaps as of yet cannot see overwhelms your senses. The air roars with thunder, water crashing against solid rock. The endless pulse of it, the unchanging tempo. There’s nothing quite like watching the mist rise up in the air, a fine cloud of water blossoming up in front of you, that eventually reaches out and caresses your face with its cold touch. I always become hypnotised by waterfalls. 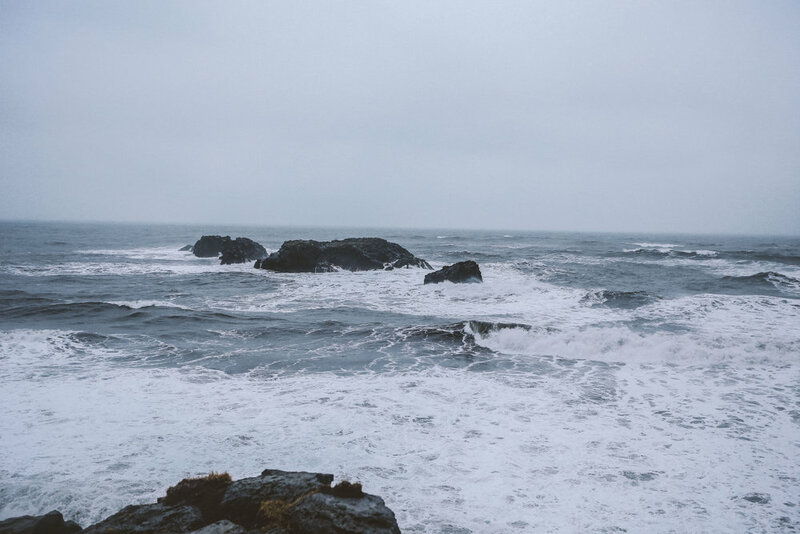 I get captivated by the brink, watching the water tumble over the precipice. As if in slow motion, unable to escape the inevitable. Its like watching eternity. 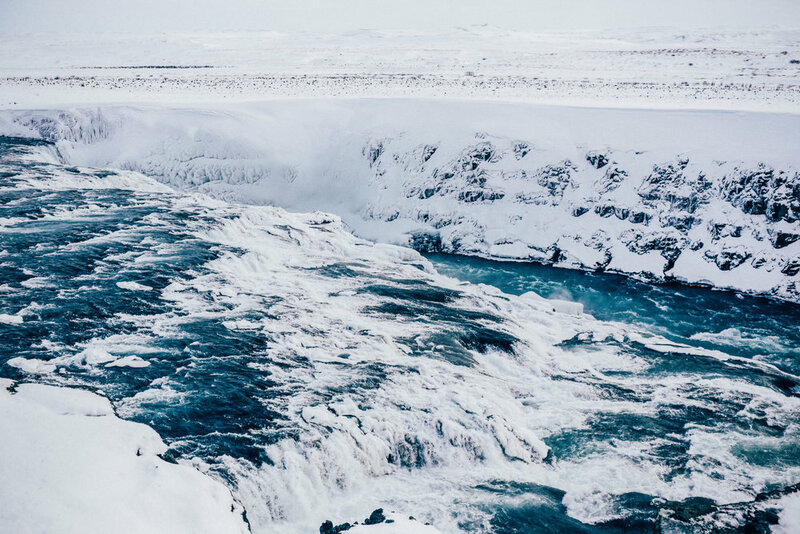 Waterfalls are beautiful and Iceland has some of the most beautiful waterfalls in the world. 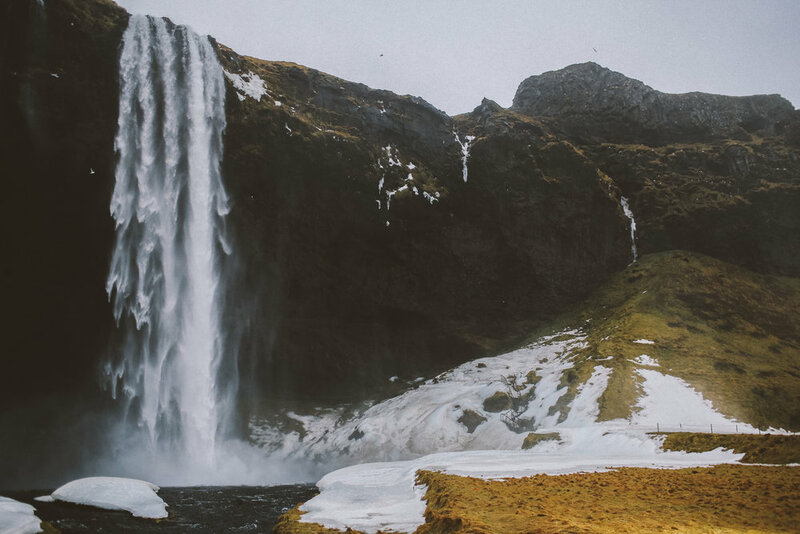 The month of February allowed us to see Skógafoss, Seljalandsfoss, Gullfoss and Svartifoss in all kinds of weather. Each of them draws you in and lets you stand oh so close. The small town of Vik can be found on the southern coast of Iceland. Vik is a town like no other I have ever visited. Its uniqueness is hard to put into words. To an outsider it is a place of mystery, of beauty and of isolation. A perfect combination. The erie vibe it radiates is addictive and is something I miss to this day. While there, the snow fell and blanketed this small community, famous for its black volcanic beaches, with white frosting. I have never seen a landscape like it. I felt as if I had jumped into a charcoal drawing and with each footstep, was leaving my own smudges on this monochrome world. 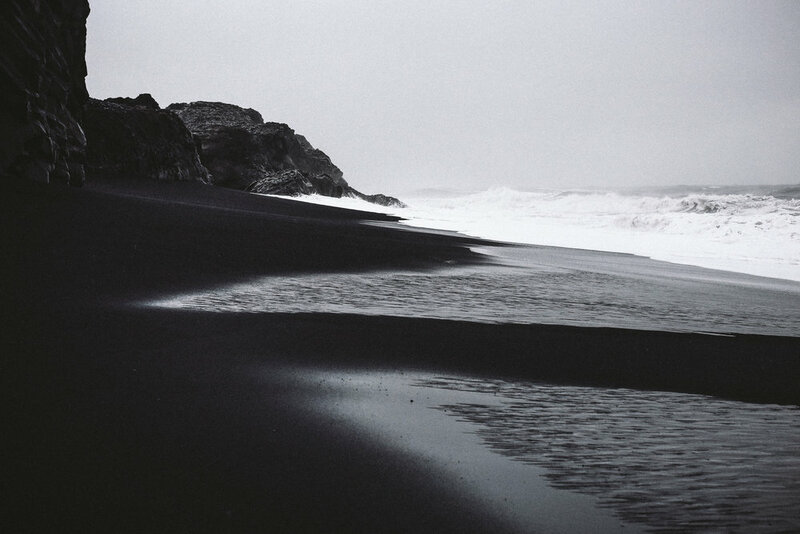 A short drive from Vik is Reynisfjara Beach, which is famous for its ebony black sand and beautiful basalt cave. Here you truly feel that you are walking on another planet. Rich and I collected a small vile of black sand from here. It now sits in our office at home, reminding us always of that strange little world we discovered. 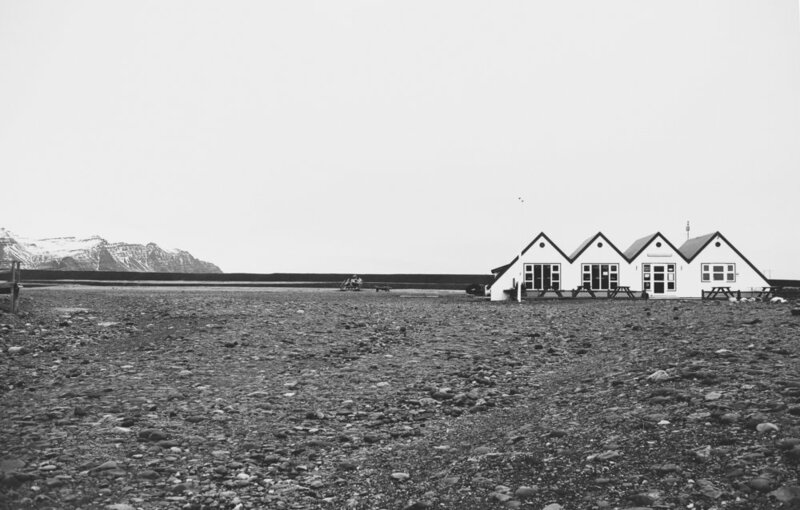 There is something so subtly beautiful about the architecture of Icelandic churches. Instead of ostentation, they seem to stand back and let the divinity of the natural landscape around them speak. 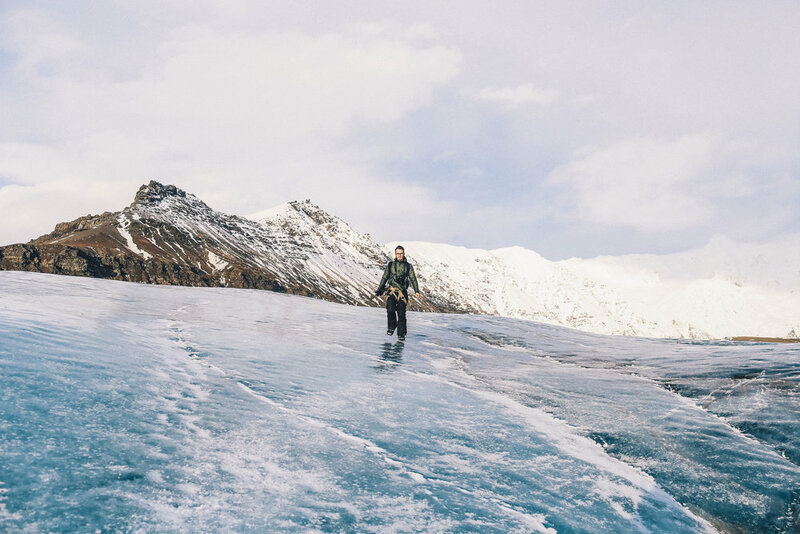 I don’t think any of my words can do justice to the feelings felt while walking on a living glacier. A river of ice formed by mountains, slowing creeping its way about the earth, eventually loosing itself into the ocean. 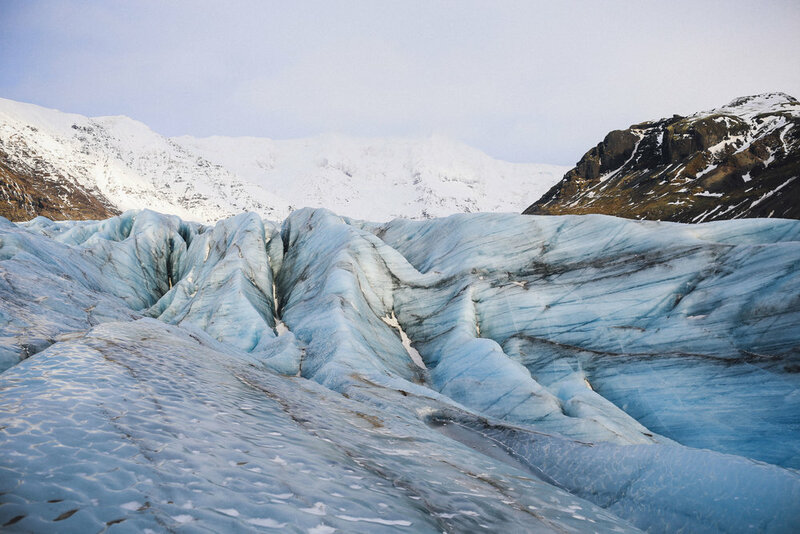 “I am a glacier icy and white The color of frostbite dark in the night If you want to catch me it will take all your might cause …… I am a glacier icy and white.” Glacier by Sarah Kitchings. “Some say the world will end in fire, Some say in ice. From what I’ve tasted of desire I hold with those who favor fire. But if it had to perish twice, I think I know enough of hate To say that for destruction ice Is also great And would suffice.” Robert Frost. 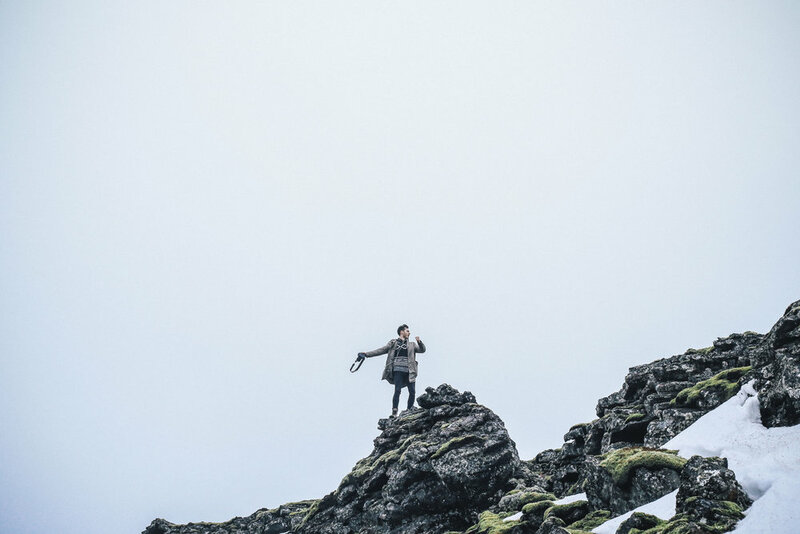 Iceland is a world of extremes, the land of fire and ice. Fallen volcanic ash resting on top of Svinafellsjökull Glacier. 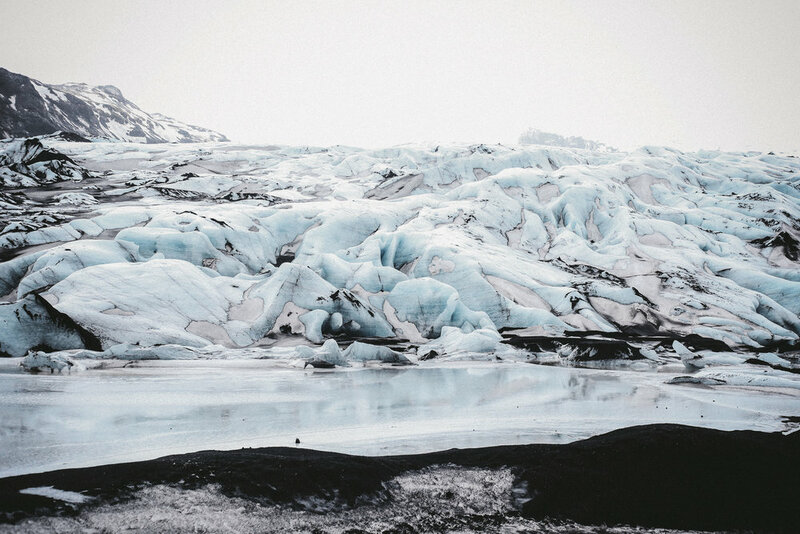 Svinafellsjökull Glacier and Glacier Lagoon are such magical places. You feel as if you could just melt away here into the milky blue landscape and no one would notice at all. As with many things in life, true beauty lies beneath. 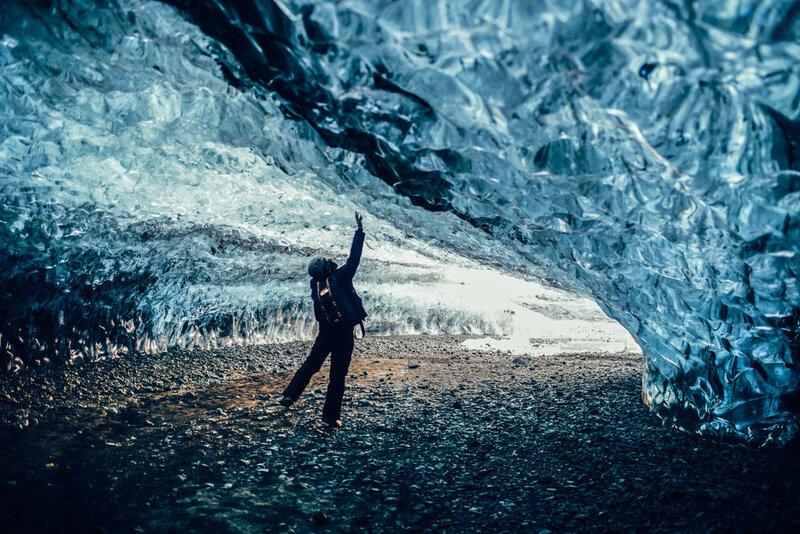 To walk beneath a glacier, to penetrate inside a labyrinth of ice is something beyond imagining. Our journey East, across Southern Iceland took us 7 days in total. Each day during that short period of time we experienced something wonderful. Iceland is one of the most beautiful countries in the world and despite its stunning beauty, still has a humbleness about it. All at once it is gracious and kind but fierce and powerful. We can’t wait to go back!